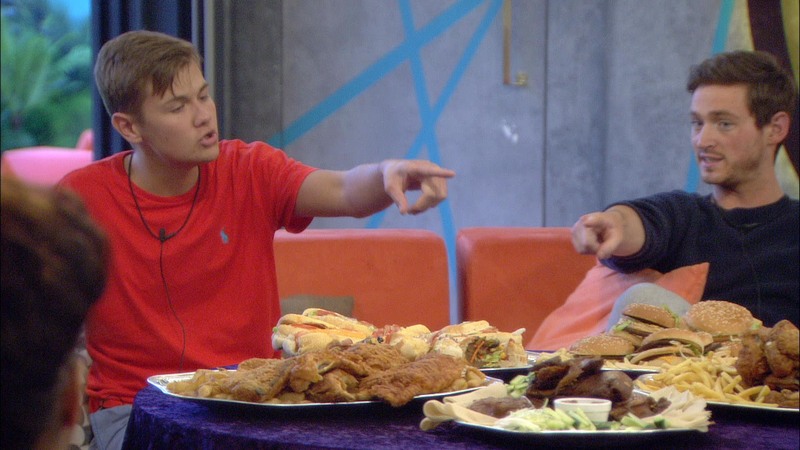 The Housemates aren’t happy with Joel, as they are tempted by food in the latest cashbomb. As part of the task, Big Brother has put on a spread of fast food. If the Housemates choose not to eat the food, they will win the amount contained in the golden envelope. They discuss it and decide to vote for it. Joel and Jack want to eat it. The Housemates vote five to three to resist eating the food. They win the envelope. The amount is one hundred pounds. They are all disappointed. Sam and Chloe join the Danny and Cristian in the sky room and both the girls are annoyed. Sam says, “I felt like I was in court and he was the defence lawyer and he was trying to trick me into saying something.” Danny and Cristian agree that Joel often does this. Joel approaches them. An argument breaks out as Joel wants people to tell him things to his face. The argument refocuses on the prize fund. Joel, Jack and Cristian are in the garden. Joel asks why people have not raised the “manipulation” opinion previously. Cristian responds that today’s argument has raised the issue to the surface.